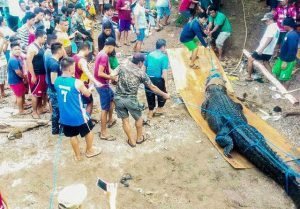 A 15.6 feet long saltwater crocodile, believed to have eaten a fisherman in Balabac, Palawan, has been captured last Saturday, December 1. 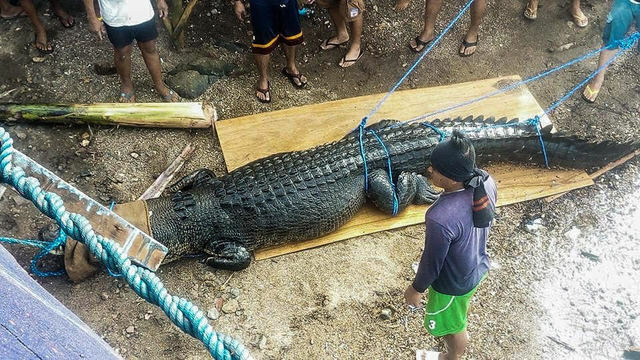 In a report by Rappler, Palawan Council for Sustainable Development (PCSD) spokesman Jovic Fabello said the crocodile was entrapped around 2pm by the PCSD and the Palawan Wildlife Rescue and Conservation Center (PWRCC) teams and is now under the safekeeping of Coast Guard Substation and 2nd Special Operations Unit Maritime Group in Balabac. The 400 to 500-kilogram crocodile is said to be responsible for the death of 33-year-old Cornelio Bonete, whose mutilated body was found in Sitio Bual, Barangay Malaking Ilog. 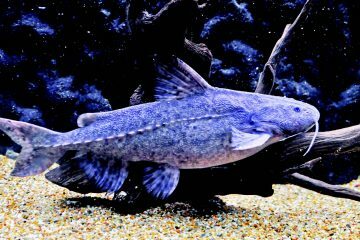 Reports said experts at the Palawan Wildlife Rescue and Conservation Center (PWRCC) will pump the crocodile’s stomach to confirm if it did attack Bonete. Experts believe this conflict could be traced to the destruction of crocodile’s habitat, because of mangrove construction and many more.